The race will start at 345 North Morton Street (Wolfe Building) at 8:15 a.m. 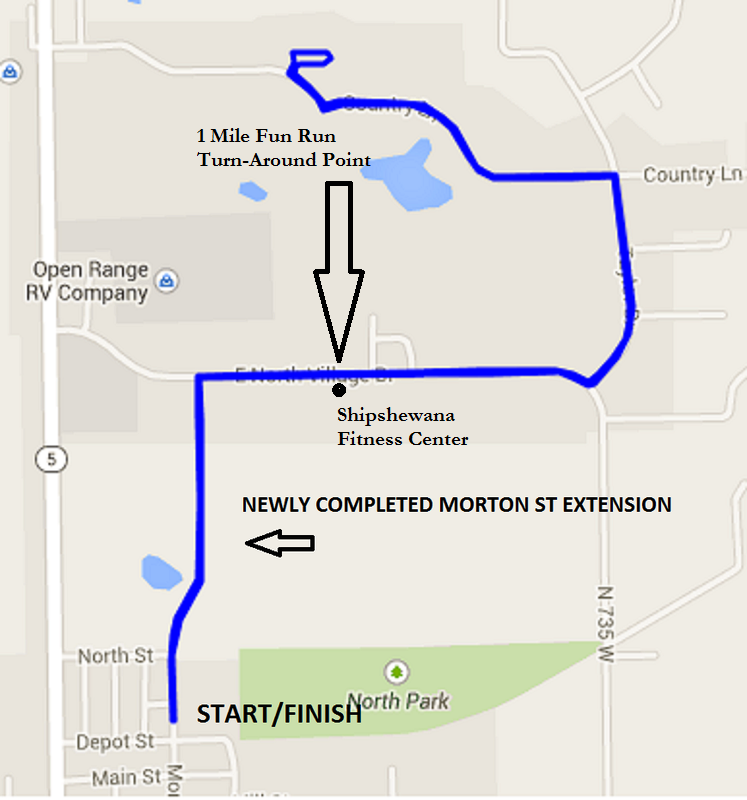 The runners will head North on the newly completed Morton Street extension to North Village Drive. They will turn right onto Village Drive and continue to the Shipshewana Fitness Center, which is the turn-around point. The runners will then head back to the finish line, which is also where they originally started.